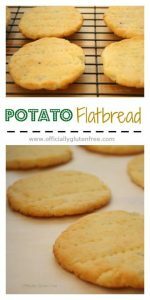 This Potato FlatBread Gluten Free is really easy to make and tastes amazing. They’re made with simple easy to find Gluten Free ingredients, that you probably already have in your pantry. 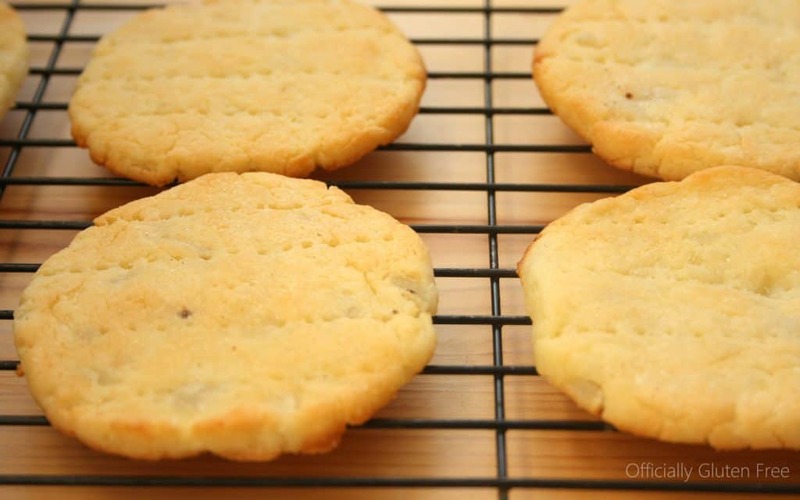 They’re so light and fluffy you wouldn’t even know they’re gluten Free. I like to serve them warm with Butter or I use it instead of an English Muffin for a tasty Eggs Benedict. I also use it to make an amazing Gluten Free Gravlax with Smoked Salmon, Capers and Cream Cheese. 1. Cook then mash the potatoes, then set aside to cool. Or use 2 cups of prepared mashed potatoes. 2. Stir in the melted butter and the egg. Mix until smooth. Then add the rice flour, corn starch, salt and baking powder. Mix until a smooth dough forms. Wrap the dough ball in plastic wrap and place in the refrigerator for 1/2 hour. 3. Pre heat oven to 450 F.
4. Cut the dough into 8 pieces. Roll into balls and flatten with lightly (rice) floured fingers. Place onto a parchment paper lined baking sheet and poke each one with a fork several times. Brush with melted butter then sprinkle with a pinch of sea salt. 5. Bake for 15 – 20 minutes. Remove from the oven then brush with melted butter once more. Cook then mash the potatoes, then set aside to cool. Or use 2 cups of prepared mashed potatoes. Stir in the melted butter and the egg. Mix until smooth. Then add the rice flour, corn starch, salt and baking powder. Mix until a smooth dough forms. Wrap the dough ball in plastic wrap and place in the refrigerator for ½ hour. Pre heat oven to 450 F.
Cut the dough into 8 pieces. Roll into balls and flatten with lightly (rice) floured fingers. 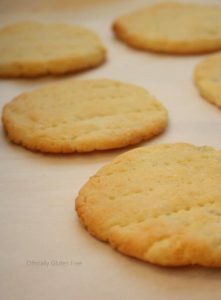 Place onto a parchment paper lined baking sheet and poke each one with a fork several times. Brush with melted butter then sprinkle with a pinch of sea salt. Bake for 15 - 20 minutes. Remove from the oven then brush with melted butter once more. Reblogged this on Favourite Gluten Free Recipes. Thank you for this recipe. 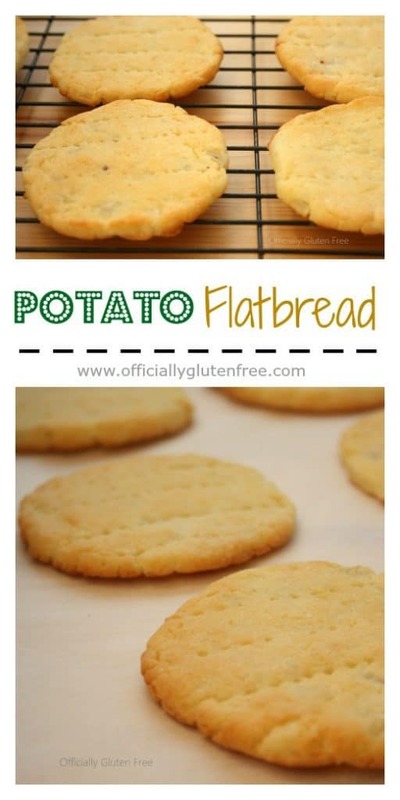 My son’s don’t like potatoes so this is a great way to hide them as they love flatbreads. Question for you: corn starch, I am hoping is the equivalent to Australia’s corn flour? These sound amazing! I think I will try this with sorghum flour and maybe with sweet potatoes, just to see how it turns out.